"I lie awake at night and listen to birds singing" is a new body of work made over the past three years, which explores the fragility of life, place, relationships and time. There is something about storytelling that relies on the retelling of tales, passing them on. Steffan Jones-Hughes is looking here at different ways of telling stories. The exhibition features bookworks, reworkings of the Guardian guide, objects, prints, drawings and paintings. They explore a personal landscape made up of characters but the artist is happy for the viewer to interpret them as they wish. This often says more about the viewer than the artist. What if I could become a bird? I could go through life not worrying about the fragility of the world and what might happen. 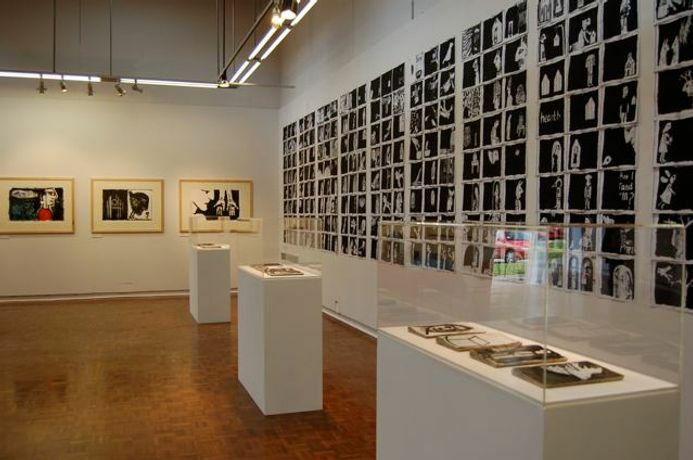 The exhibition includes drawing, painting, printmaking, bookworks and objects.